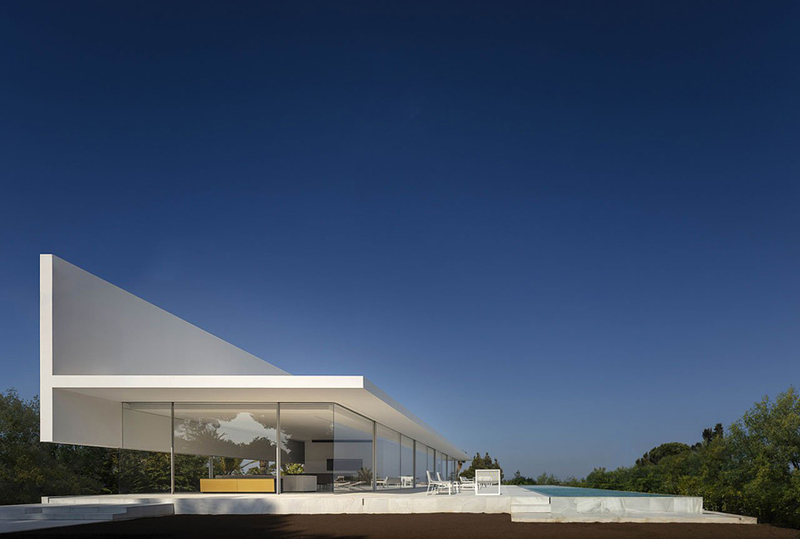 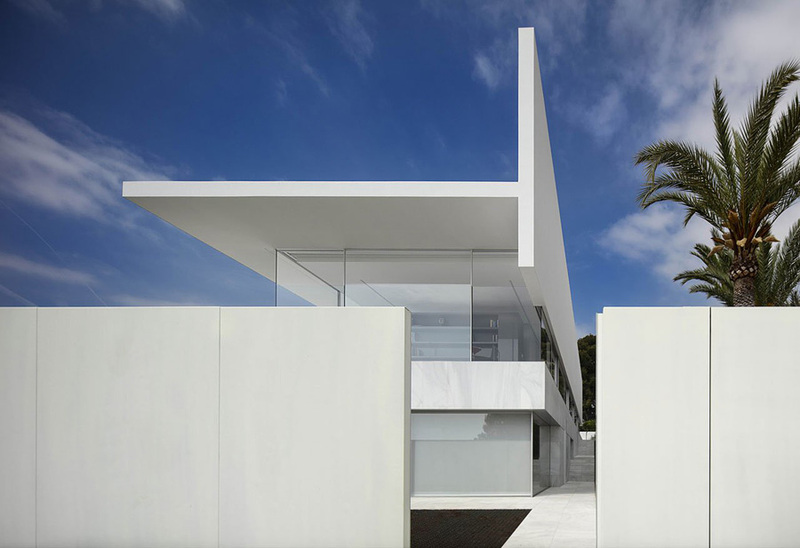 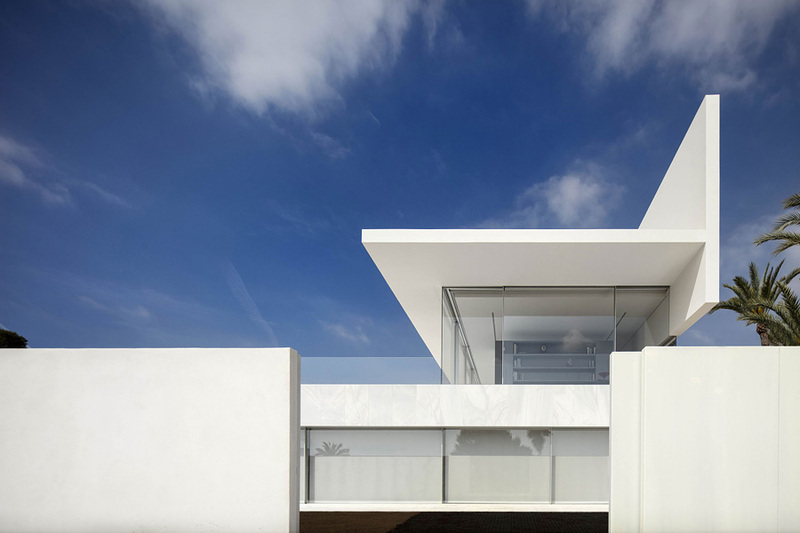 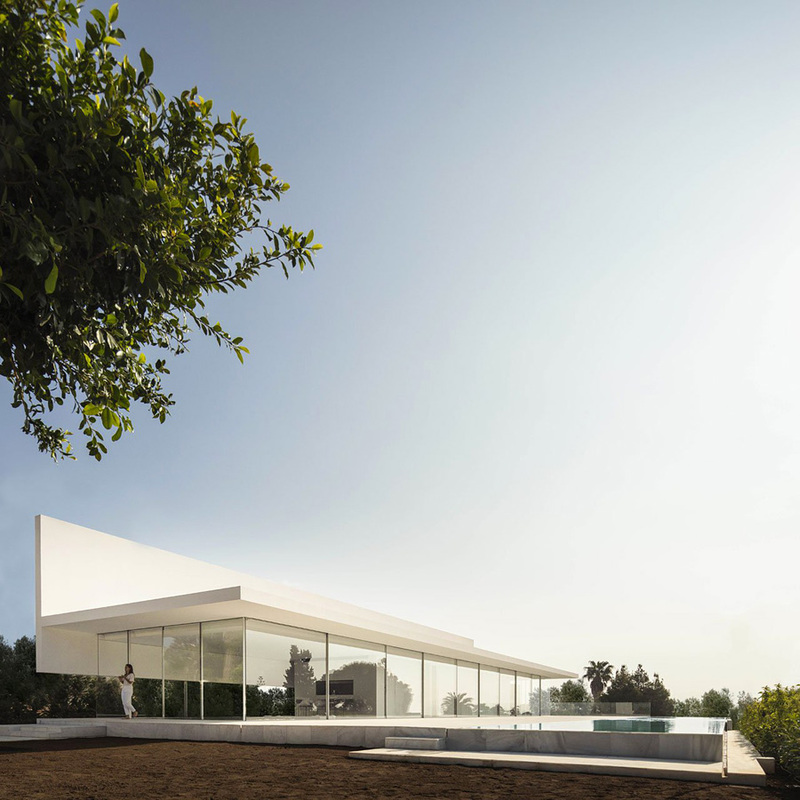 Casa Hofmann is located on the northern outskirts of Valencia, a family residence by local practice Fran Silvestre Arquitectos that embraces its surrounding nature through a modernist design of radical transparency and minimalist elegance. 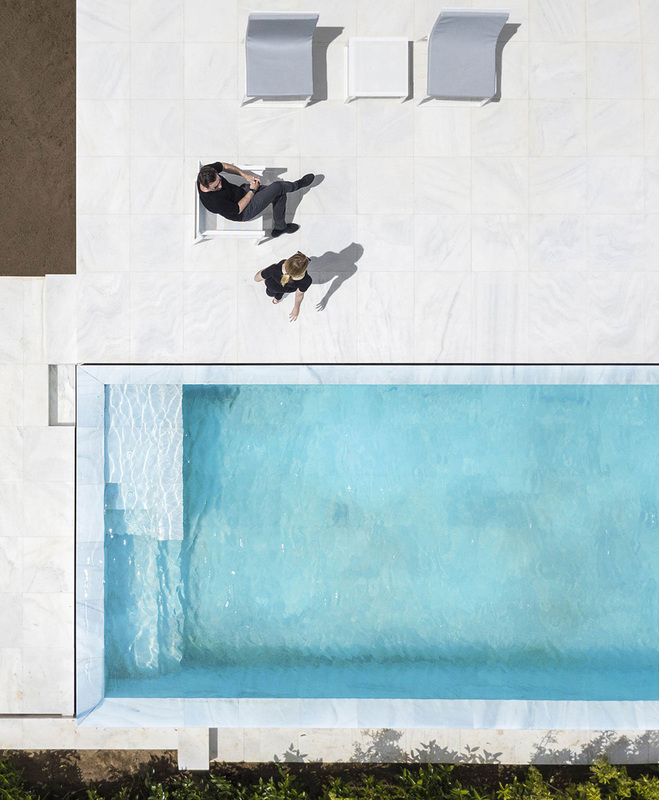 Casa Hofmann has the advantage of its hillside location which comes with expansive vistas of the Mediterranean landscape and the sea looming in the horizon, plus a pool terrace. 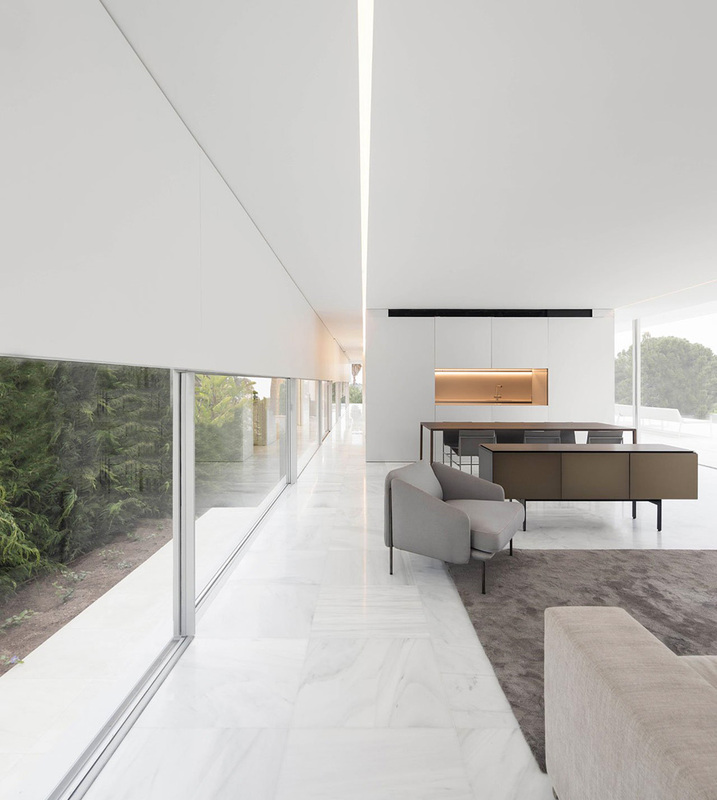 The main communal areas are located on either side of the elongated floorplan, enjoying expanside views courtesy of floor-to-ceiling glazing on three sides of the building, while a white boxy enclosure in-between the living/dining area and the study contains the kitchen, bathrooms and two bedrooms. 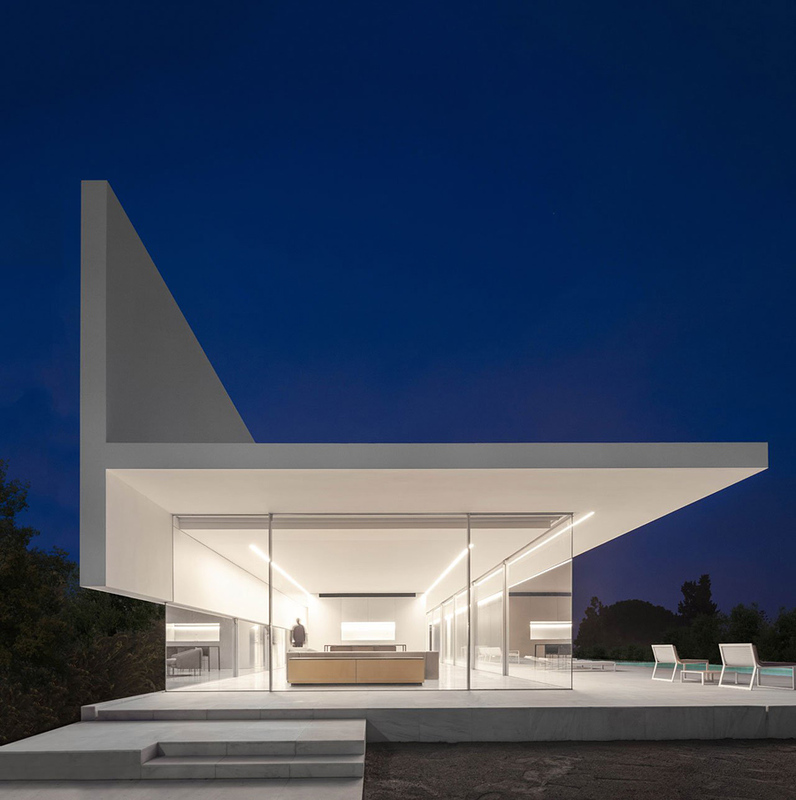 This box-within-a-box design not only affords privacy for the the private quarters and wet areas but ingeniously aslo conceals the structural suports for the floating roof. 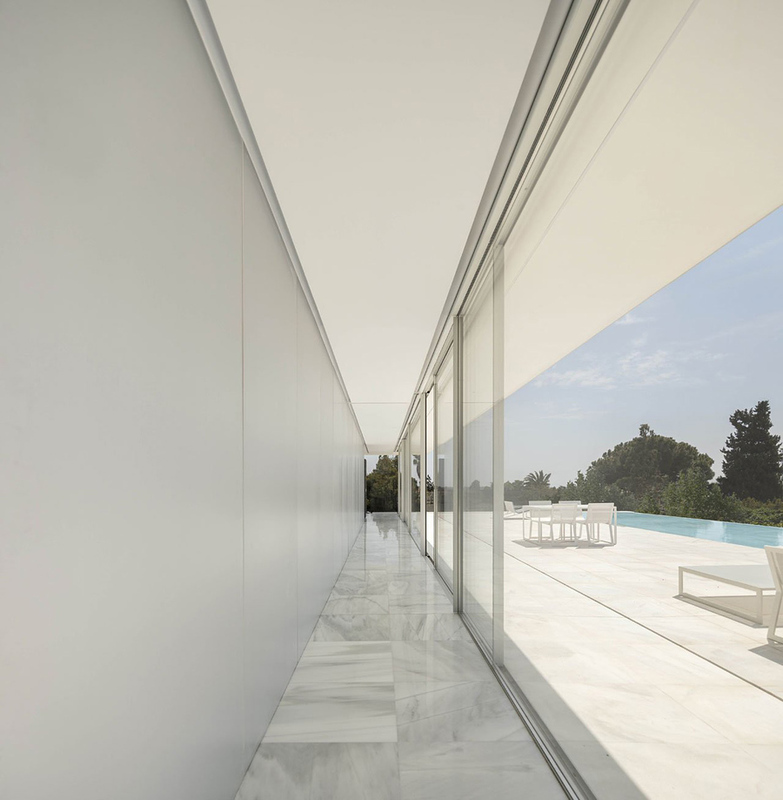 On the back, lower-level glazing, courtesy of the roof’s T-shaped section, ensures privacy without sacrificing natural lighting. 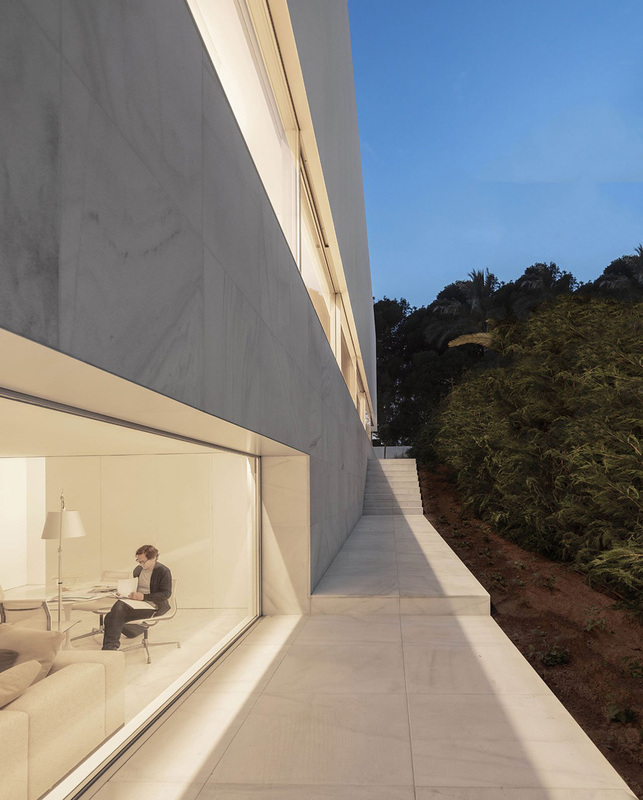 Taking advantage of the sloped terrain, the architects have incorpotated a lower level that houses, among other rooms, a living room and gym. 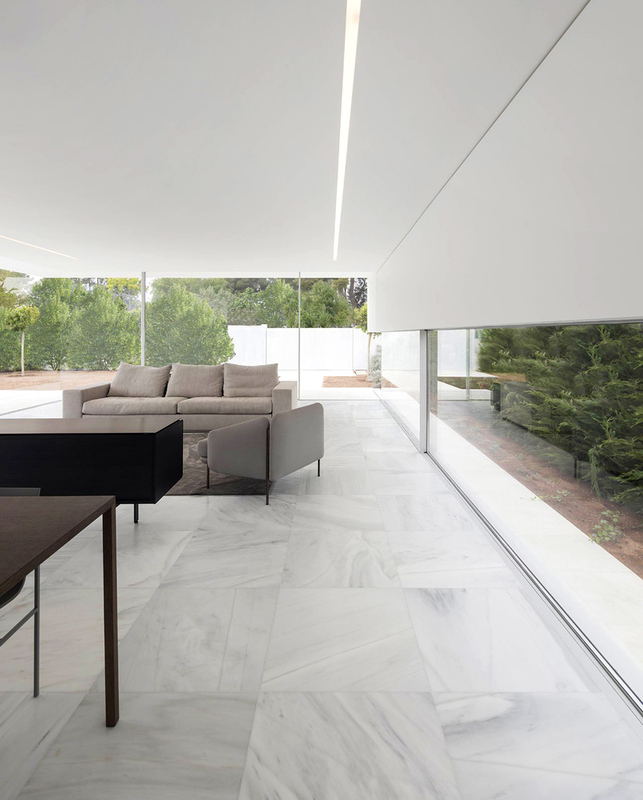 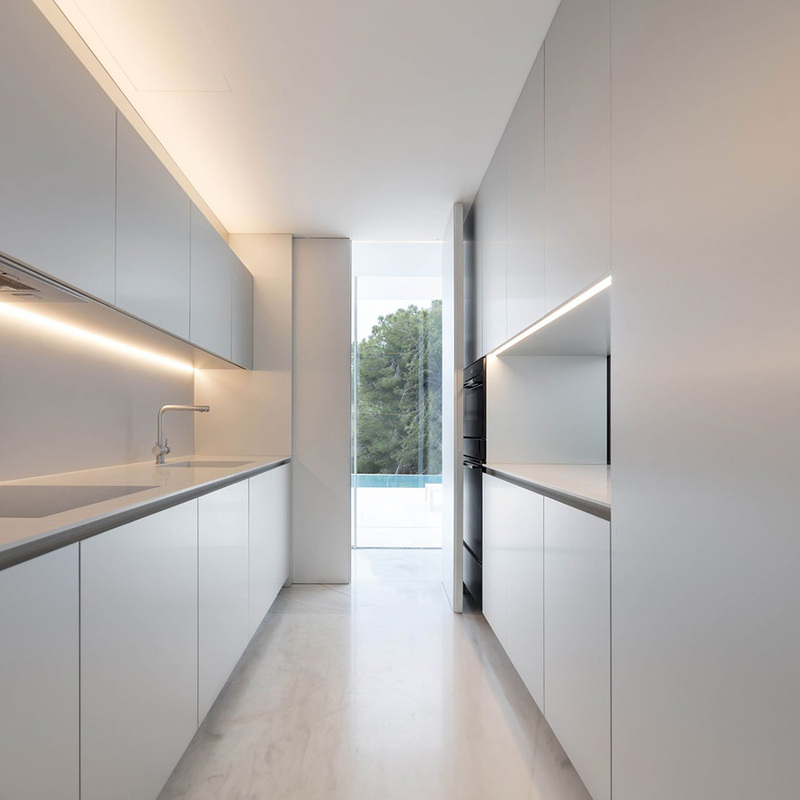 As on the ground floor, the streamlined interior design by Alfaro Hofmann impresses with its radical minimalism, featuring an all-white colour palette, gleaming marble flooring and concealed lighting, as well as floor-to-ceiling glazing that open up to the entrance courtyard. 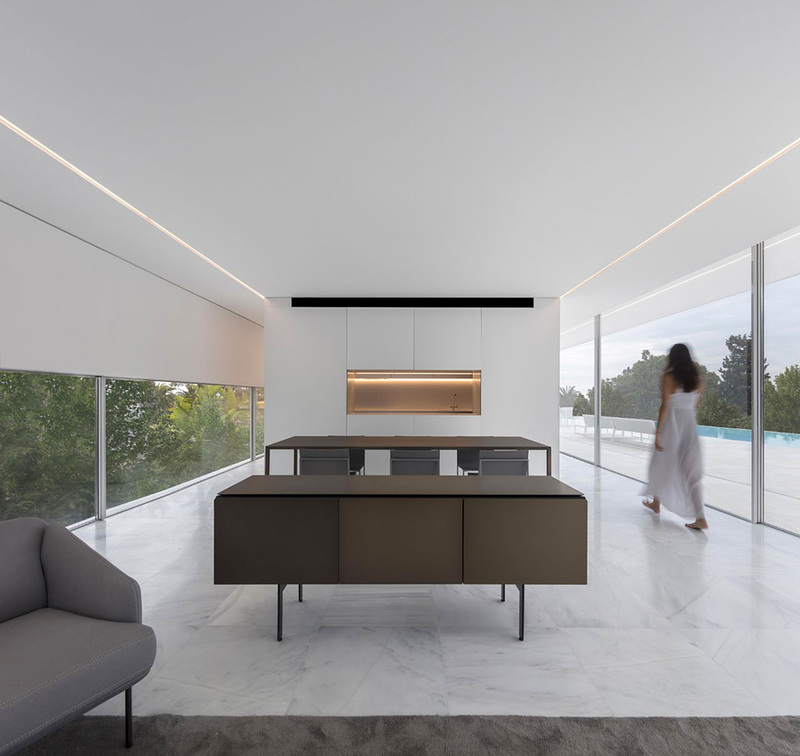 The modernist design aesthetic also extends to the house’s furniture, many of which, such as the sleek poolside tables, sunbeds and chairs, have been designed by the architects themselves. 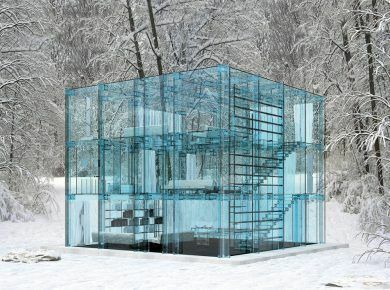 If you liked this glass house you might be interested in The Glass House by Santambrogio Milano or Modern Glass Cabin in Oisterwijk by INAMATT.